Yuta Togashi is starting his first year of high school. To him it is a clean slate, a fresh start, somewhere he can forget his embarrassing past and look forward to a bright future. 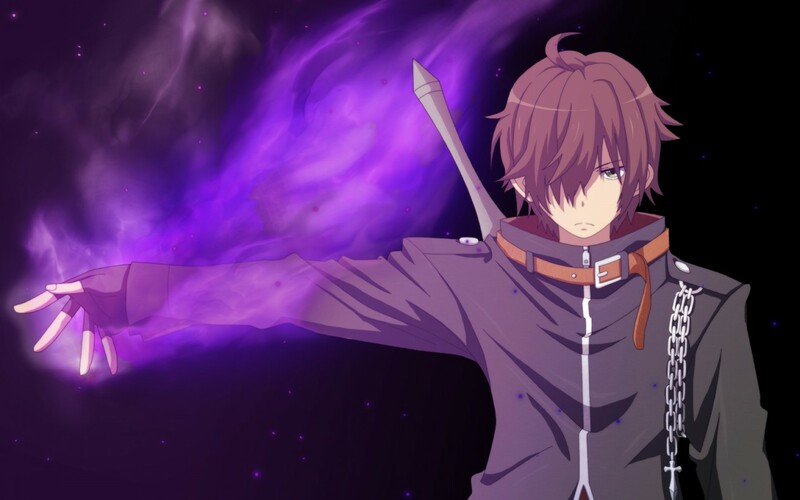 In middle school he suffered from what’s called “chunibyo” (a state of mind also called “8th grader syndrome”) where he believes that super powers are real and acts them out in everyday life. He even names himself “The Dark Flame Master” in a show of his make-believe strength. He vows to put all of this behind him when he starts high school. On the first day of school he finds a private area with no one around and banishes his old ways with a verbal declaration. Unfortunately for him, a girl in his class named Rikka Takanashi sees his outburst. It turns out that she is chunibyo as well! Rikka declares that she and Yuta are soulmates and acts out her delusions around him in the hopes that he will return to his chunibyo ways. Rikka grows attached to him, and while he finds her behavior annoying at times, he accepts her for who she is. Yuta makes it his goal to help Rikka overcome her delusions so that she can move on from whatever it is that got her to act this way in the first place. This show has a great blend of characters. Yuta is a kind and likeable main character with his only main knock being that he’s a bit dense at times. Rikka is a multi-faceted character. She’s quirky and fun with the way that she dresses and acts, yet it’s not hard to tell that she is a sad and lonely girl. 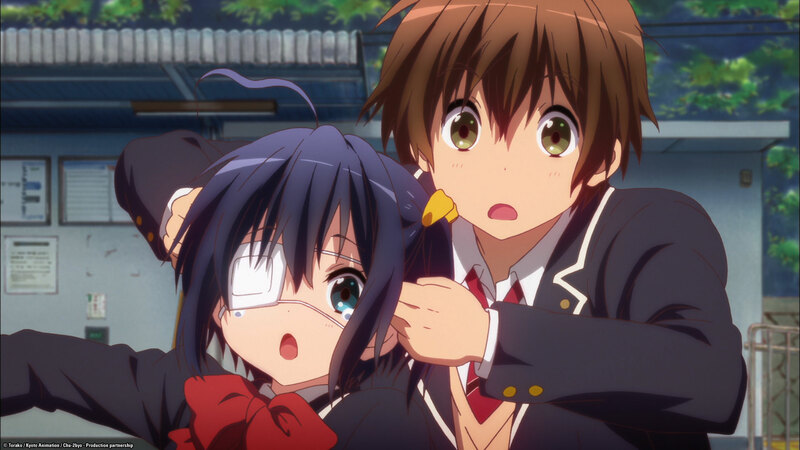 Rikka’s chunibyo is an escape from the reality that she refuses to accept. 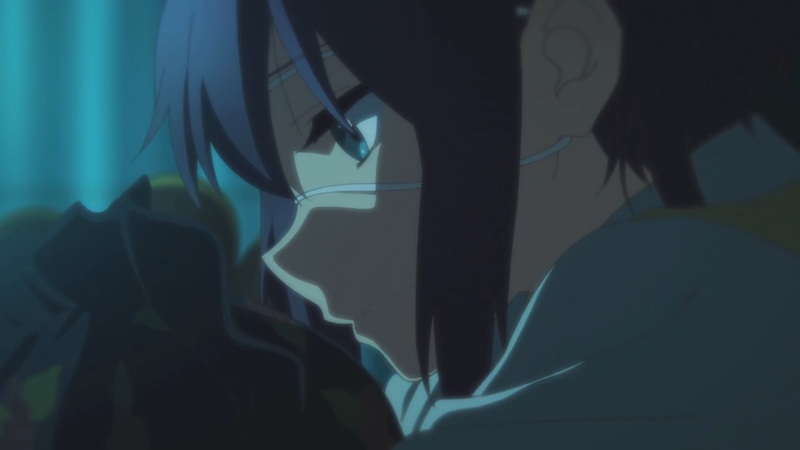 I love the dynamic between Rikka and Yuta as she tries to draw him back into his delusional ways while he tries to slowly draw her out of hers. Their interactions are endearing, and it wasn’t hard for me to fall in love with them. In terms of supporting cast we begin with Nibutani who plays the role of the kind, beautiful, mature classmate who everyone looks up to and wants to be with. 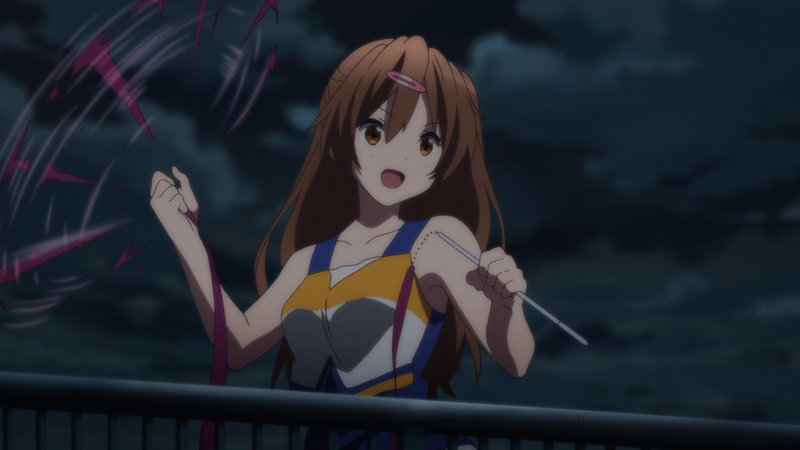 It’s all a facade, however, as she also used to suffer from chunibyo, going by the name “Mori-Summer”. 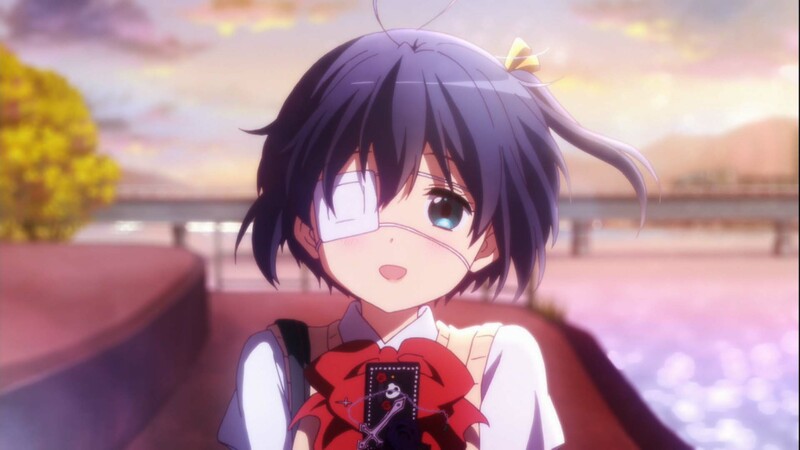 Rounding out the cast is their upperclassman Kumin, who has an obsession with naps, and Dekomori, another chunibyo girl who Rikka met on the internet that is a year younger than her who believes that Rikka is her master. All of them add some good comic relief to the show but also help to progress the story forward at many points. Kyoto Animation produced this show, so it will come as no surprise to many that the art of this show is spectacular. It’s crisp and clean art is supported by a wide palette of colors making this show a feast for the eyes. On the animation side of things, character movements are fluid and there is no choppiness to any of the other animations at all. The best part about the animation in this anime, however, is the over the top fight sequences that happen whenever anyone goes chunibyo. It’s really quite incredible. The voice acting is executed very well, both in sub and dub, with each voice lending itself well to the type of character they are playing; i.e. Dekomori is energetic and over the top and her voice only reinforces how annoying of a character she can be. The music in this show is well composed. The composer, Nijine, does a fantastic job of matching the music to the flow of the show and enhancing the scenes that are important without overpowering them. The sound design is also very well done. Things like exaggerated motions having swooshes (Rikka getting on the train), and weapons having sounds that reinforce their imaginary power are a couple examples of this. 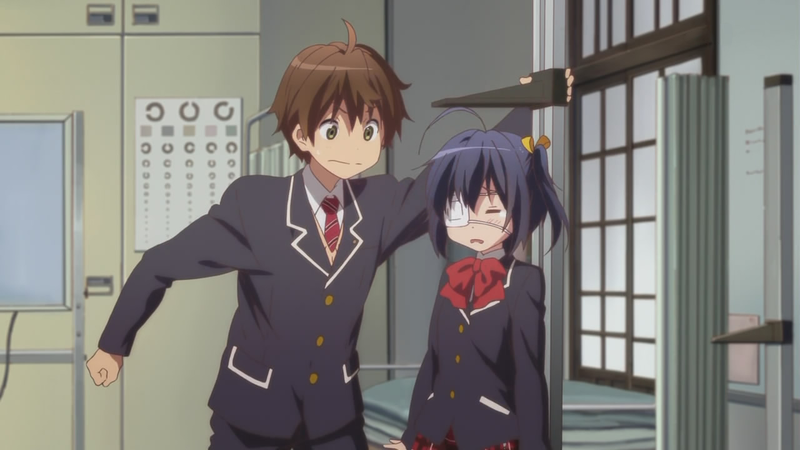 Love, Chunibyo & Other Delusions is an amazing anime. It takes the classic boy meets girl romance show and gives it a fun, wacky twist that leads to an endearing story of accepting who you are. With a fun and diverse cast of characters accompanied by beautiful art and animation, this show is truly a delight. TR;DR: Love, Chunibyo & Other Delusions tells a beautiful story of acceptance. Backed by fun characters, top notch animation, and a compelling story, this anime was a pleasure to watch. Recommended Audiences: Fans of romance with sprinkles of drama and humor would probably like this show. The anime is appropriate for all ages, so stop wasting time and go watch it! Love, Chunibyo & Other Delusions helps Ai-chan win her chuuni battle with 5/5 HP! Anime Arcade 81 – The Return of Jeopardy!